After a few unnecessary U-turns, I quickly realized that Apple Maps wasn't for me, which is why I hate that it opens as the default app any time I select a shared location or an address from Yelp. Copying and pasting the address to Google Maps isn't a huge deal, but it's certainly not as fluid of a process as I'd like. We previously covered a jailbreak tweak that set Google Maps as the default maps app, but unfortunately, iOS 8 has yet to be jailbroken. On the bright side, the new iOS does allow for a simple way to use third-party apps when routing an address—no copy/paste required. Where Was This on iOS 7? This feature was also present on iOS 7, though it was completely hidden. When selecting the mode of transportation for your route, choosing the bus option would forward you to a new page where you could then open the bus route via a third-party app like Google Maps. Not everyone uses the bus, thus resulting in few being aware of this feature. And the people I know who do use buses, they would never use Apple Maps to help them out, as it's not as trustworthy as city bus apps. It's kind of shady on Apple's part to bury this functionality, but they've corrected it on iOS 8 (sort of). 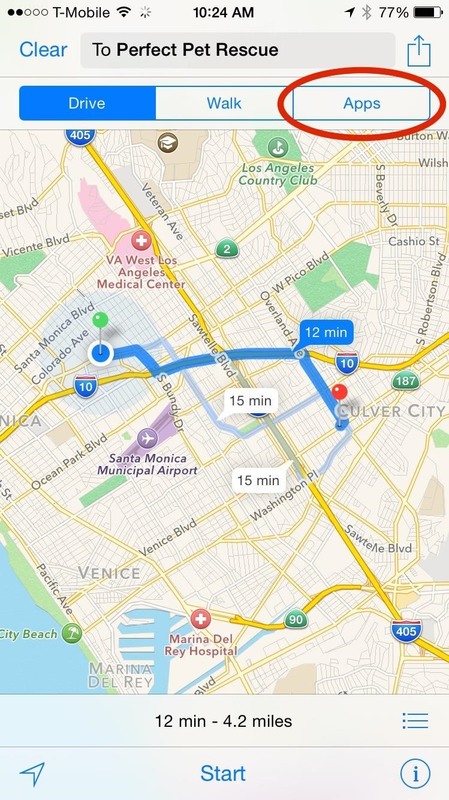 Open an address in Apple Maps. Once it is routed, select the Apps tab. 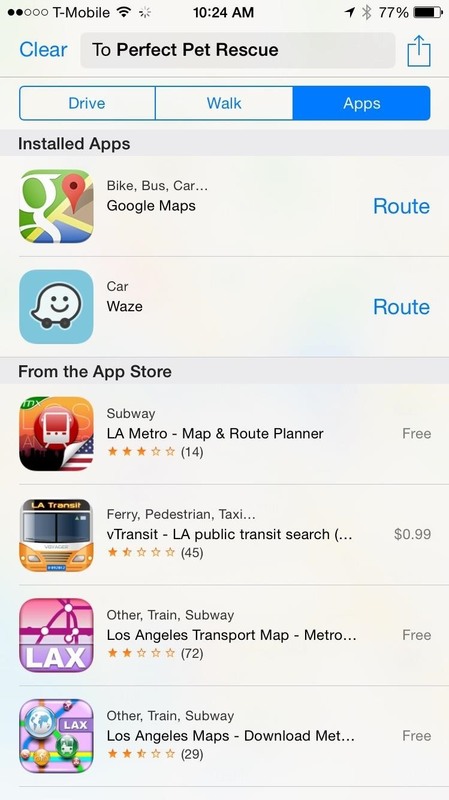 Select Google Maps or any other third-party app you may have. If you do select Google Maps, the route it gives you will be a bus route, so just be aware that you'll need to choose the car or walking icon afterward, depending on what mode of transportation you'll be using.